Collectibles Memorabilia Store Insurance New Jersey An autographed Mickey Mantle baseball, or that rare Michael Jordan signed rookie card can easily sell for thousands of dollars. 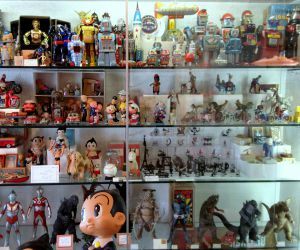 Not only these, but other collectibles and rare memorabilia you sell in your shop, are valued at hundreds of thousands of dollars. Collectibles memorabilia store insurance New Jersey protects your shop from lawsuits with rates as low as $37/mo. Get a fast quote and your certificate of insurance now. It is imperative that the insurance provider you choose for the collectibles memorabilia store insurance New Jersey coverage not only protects against all possible complications, loss, or damage, but also provides higher than average deductibles for such items as well. Since you are dealing with rare, hard to find, limited collector's items, it is extremely likely that some of these items are valued at $10,000, or higher. You want to know you are fully protected, and will salvage the funds, in the event something goes wrong. When choosing the collectibles memorabilia store insurance New Jersey policy, business owners also have to consider other problems which can arise. For example, if you are attending a trade show to promote or try to sell collector items, does the insurance provider offer travel insurance? This not only covers the value of items which are lost during transport, but ensures that when they are temporarily away from the store or online site, they are fully protected. When purchasing collectibles memorabilia store insurance New Jersey, business owners should go through insurers which specialize in rare, collectible, or limited coverage policies. Not only will they offer more optional coverage terms from which you can choose, but also understand the industry, so will provide you far better protections for your business. 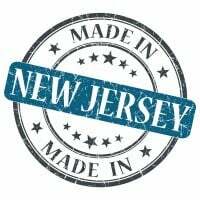 Request a free Collectibles Memorabilia Store Insurance New Jersey quote in Asbury Park, Atlantic, Bayonne, Beachwood, Bellmawr, Bergenfield, Bound Brook, Bridgeton, Camden, Carteret, Cliffside Park, Clifton, Collingswood, Dover, Dumont, East Orange, Eatontown, Edgewater, Elizabeth, Elmwood Park, Englewood, Fair Lawn, Fairview, Florham Park, Fort Lee, Franklin Lakes, Freehold, Garfield, Glassboro, Glen Rock, Gloucester, Guttenberg, Hackensack, Haddonfield, Hammonton, Harrison, Hasbrouck Heights, Hawthorne, Highland Park, Hillsdale, Hoboken, Hopatcong, Jersey, Keansburg, Kearny, Kinnelon, Lincoln Park, Linden, Lindenwold, Little Ferry, Lodi, Long Branch, Madison, Manville, Metuchen, Middlesex, Millville, Morristown, New Brunswick, New Milford, New Providence, Newark, North Arlington, North Plainfield, Oakland, Ocean, Palisades Park, Paramus, Passaic, Paterson, Perth Amboy, Phillipsburg, Pine Hill, Plainfield, Pleasantville, Point Pleasant, Pompton Lakes, Princeton, Rahway, Ramsey, Red Bank, Ridgefield Park, Ridgefield, Ridgewood, Ringwood, River Edge, Roselle Park, Roselle, Rutherford, Sayreville, Secaucus, Somers Point, Somerville, South Plainfield, South River, Summit, Tenafly, Tinton Falls, Totowa, Trenton, Union, Ventnor, Vineland, Wallington, Wanaque, West New York, Westfield, Westwood, Woodbury, Woodland Park and all other cities in NJ - The Garden State.